Travelling in Europe, we discovered a treasure trove of majestic cathedrals. The Basilica of St Sernin in the city of Toulouse France was no exception. 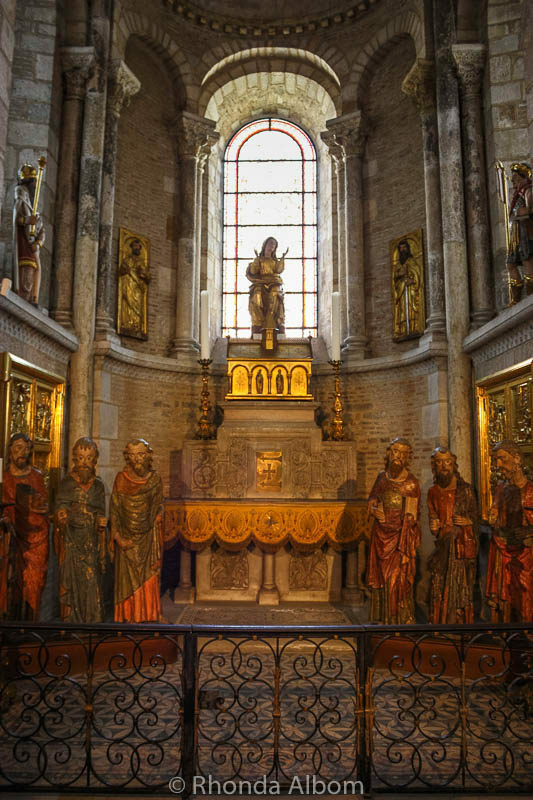 It is the largest Romanesque church in Europe, filled with antiquities, relics, and museum quality frescoes. Also famous for its Romanesque sculpture, the Basilica of St Sernin is a UNESCO World Heritage Site on the list of Routes to Santiago de Compostela. Historically, the early 5th-century church built on this location encapsulated the remains of Saint Sernin. As the first Bishop of Toulouse, he was martyred violently for refusing to pray to pagan gods. His relics attracted many pilgrims, and the church was rebuilt and updated. The 11th-century Basilica of Saint Sernin we see today is a masterpiece. 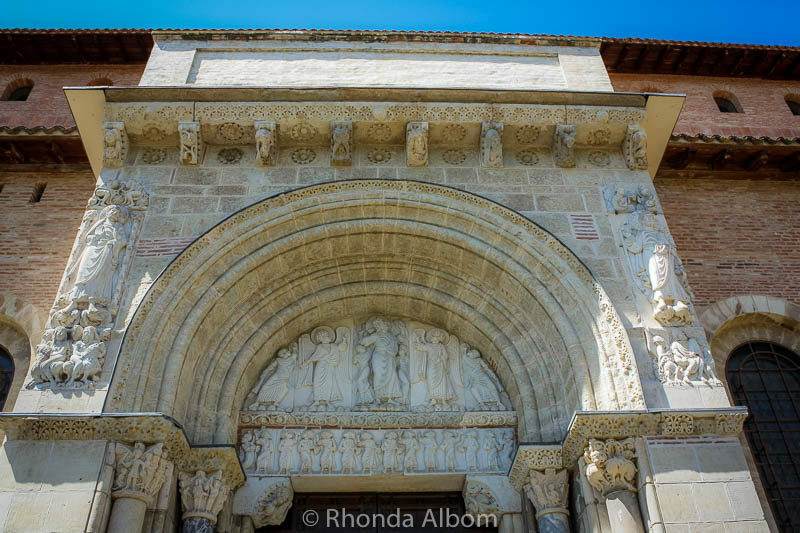 Tympanum of the Porte Miegeville depicts the Ascension of Christ (c.1110-15). 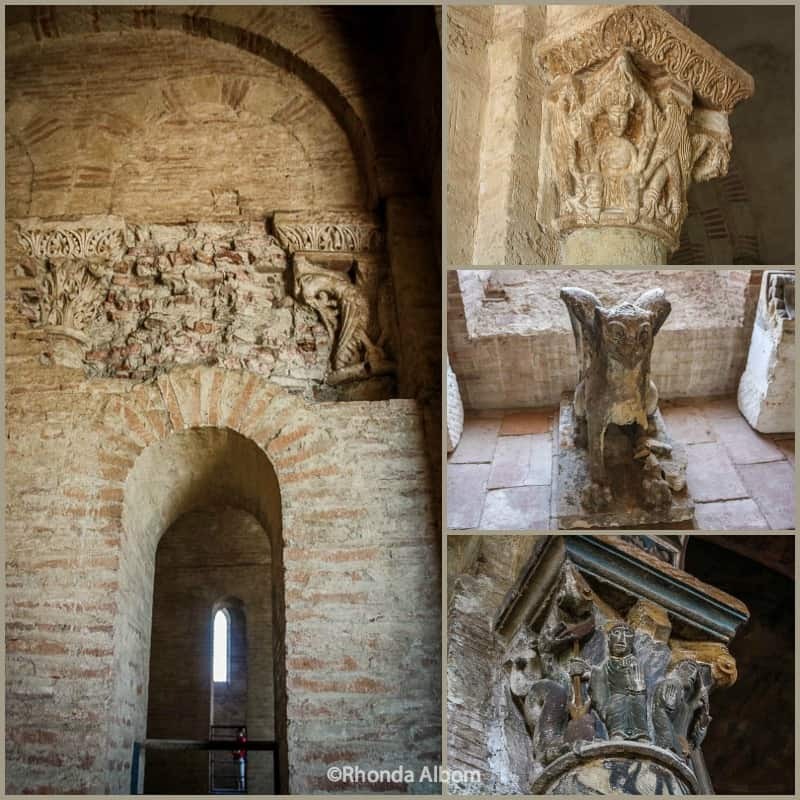 It is an important milestone in the development of early Romanesque sculpture. The faded red bricks of the Basilica of St. Sernin contribute to Toulouse’s nickname of the “Pink City”. This is a collection of detailed carvings in the portal. Two of the eight carved capitals (column tops) are shown here. 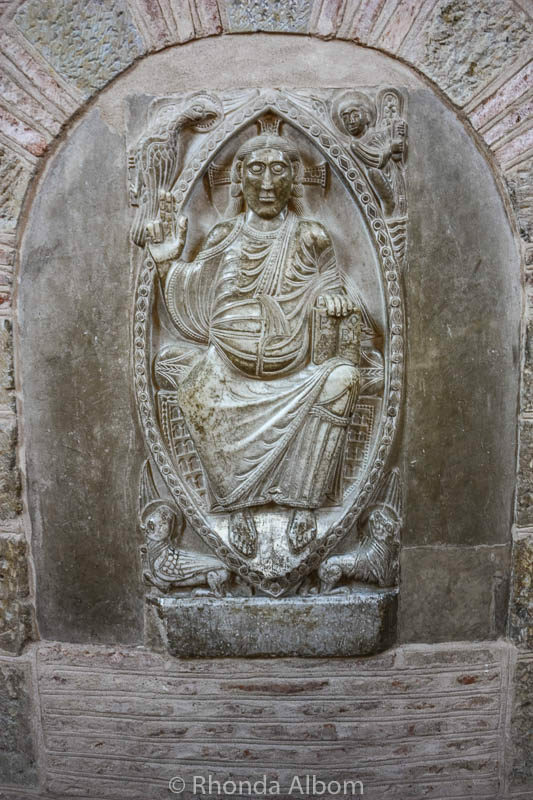 Marble panel of Christ in Majesty. Looking to the east in the Nave. The lustrous central chapel in the ambulatory (fee for entry) is dedicated to the Holy Spirit. 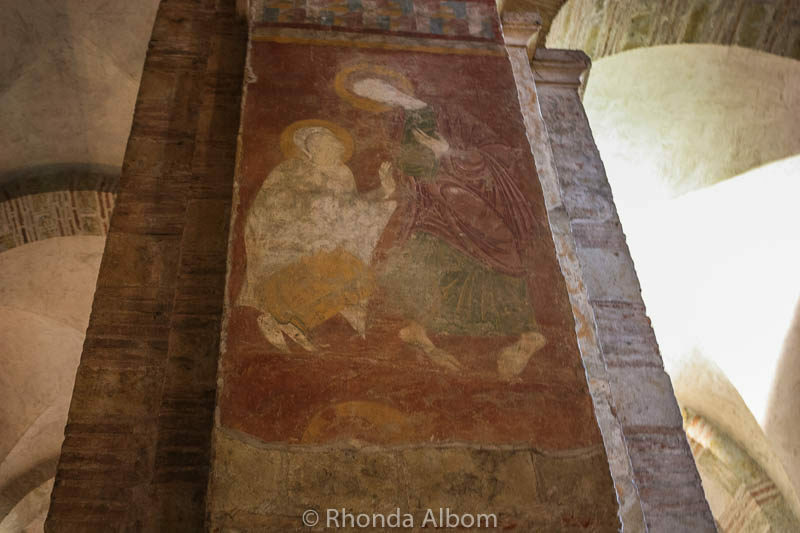 This fresco depicts the last scene in the transept of Saint Sernin. 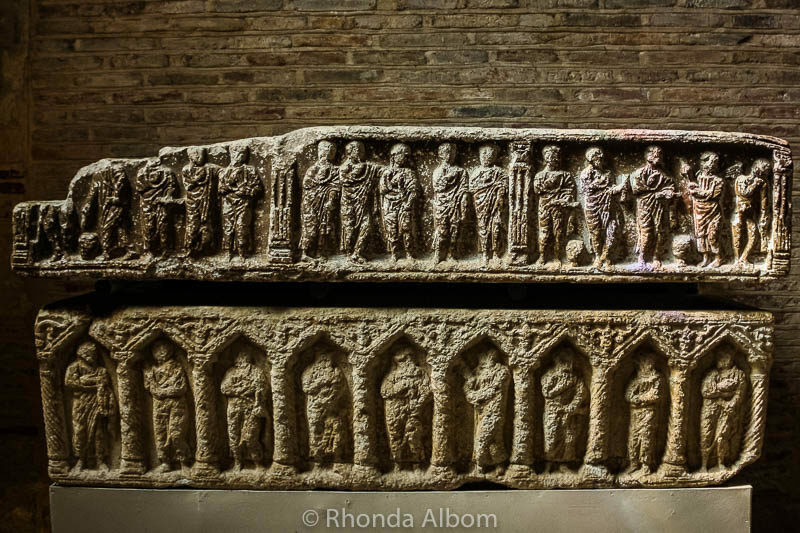 Carved apostles appear on this sarcophagus from the late 4th or 5th century. Colourful stained glass windows and Romanesque arches. Vault fresco of the Lamb of God (Agnus Dei) with angels. 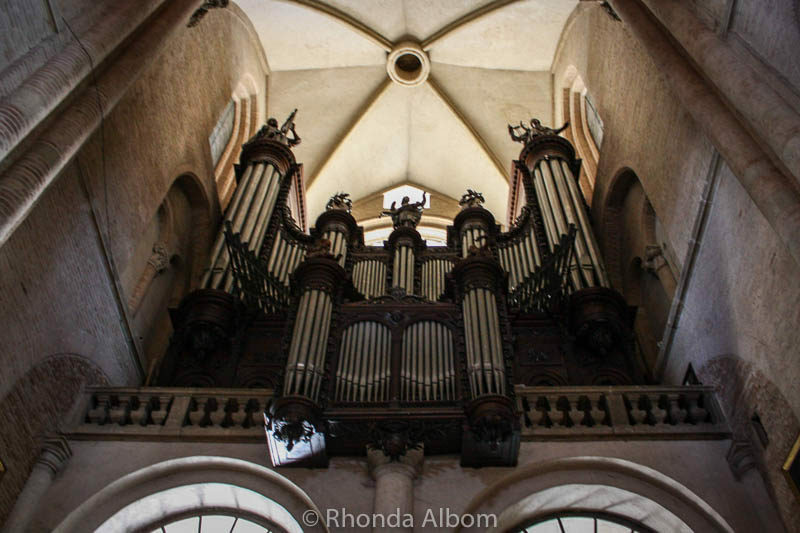 This organ, built by Cavaillé-Coll in 1888 is considered to be one of the most important organs in France. The main church of the Basilica of Saint-Sernin is open daily from 8.30 am. Closing times vary by day and season. Check times on their official website. There is a small fee to enter the crypt and ambulatory; both have varied opening hours. 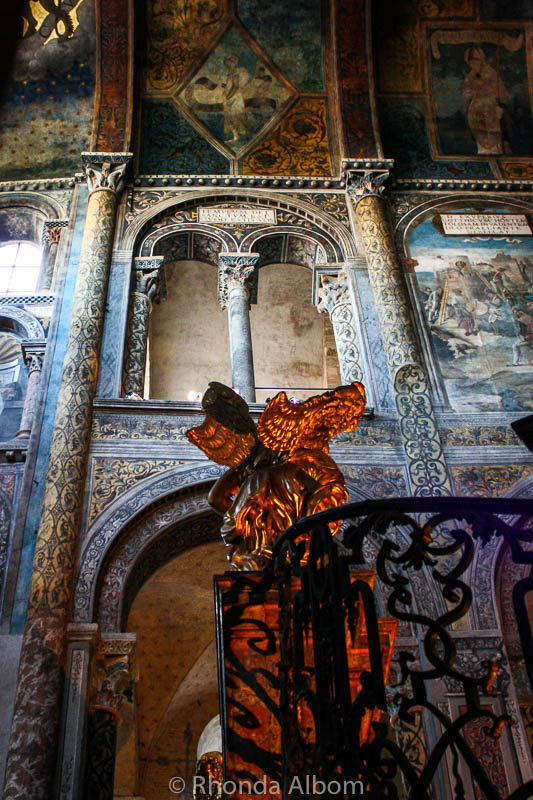 You can visit the Basilica of Saint-Sernin on its own, or as part of a city tour from Viator. →Check prices for Toulouse city tours from Viator. 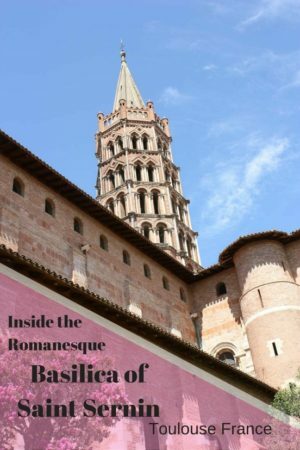 We first discovered the Basilica of St Sernin in Lonely Planet’s Western Europe Travel Guide. Located in the Midi-Pyrenees region of France, Toulouse is one of my favourite cities in France. We discovered plenty of things to do in Toulouse. One of our favourite other stops was the Cite de l’Espace. 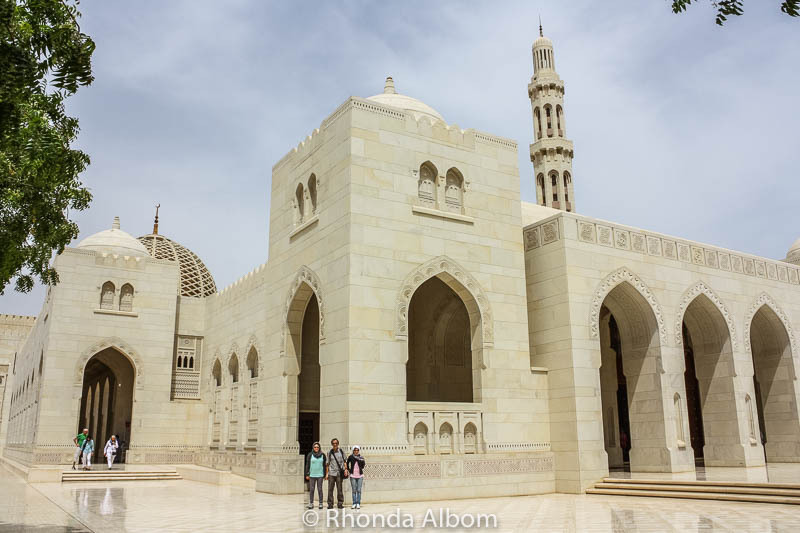 We visited as part of a Loop from Barcelona with primary stops in Madrid, Segovia, Cordoba, and Granada, in Spain; Evora and Sintra in Portugal; back through northern Spain, then into the French Pyrenees first to Lourdes, then to Toulouse. 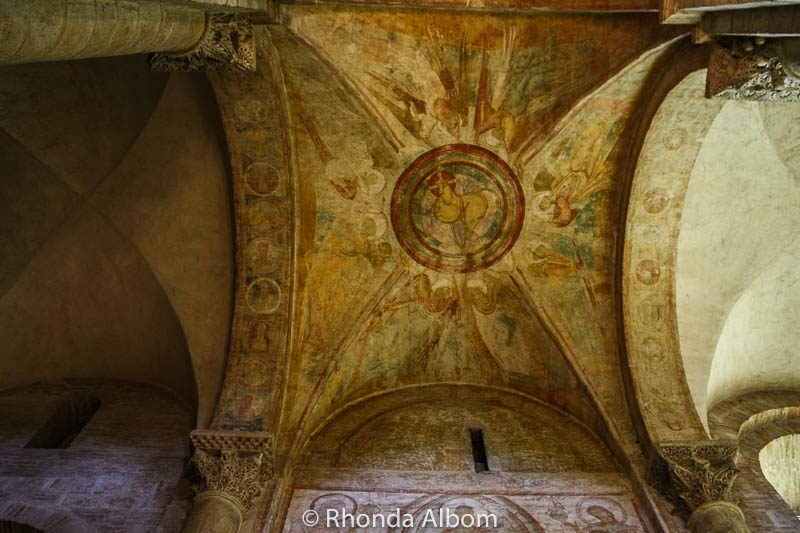 What is it about the Basilica of St Sernin that you like best? 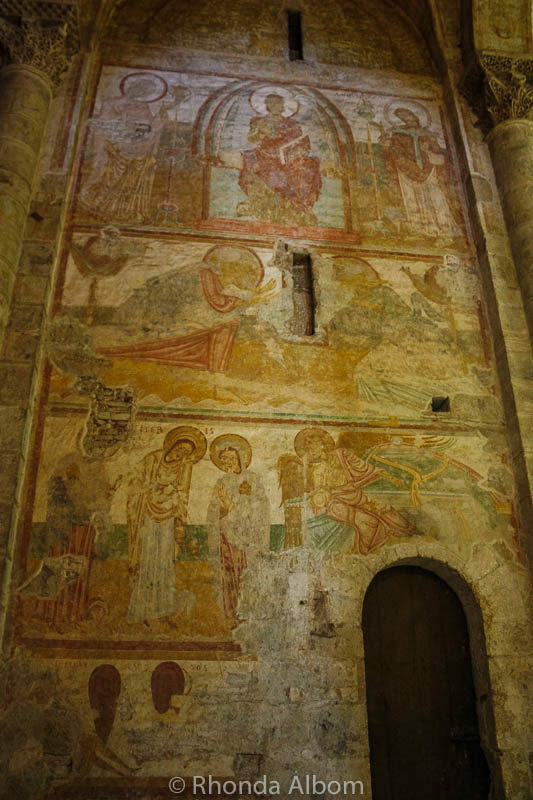 Is it the architecture, Romanesque sculpture or the frescoes? I am such a sucker for this type of architecture. It is so majestic! Me too. I just loved this place. Toulouse looks fabulous. The Basilica looks really exquisite. Brought back memories of the Vatican as well as St. Peter’s Basilica. We really love Roman architecture and sculpture. They transport you into a different and ethereal world of beauty. I will admit, that compared to St. Peter’s Basilica, St. Sernin really doesn’t stack up. Fabulous photos of the Basilica! If I go pass Toulouse again, Surely I will stop and go in the Cathedral to visit! You must stop here. 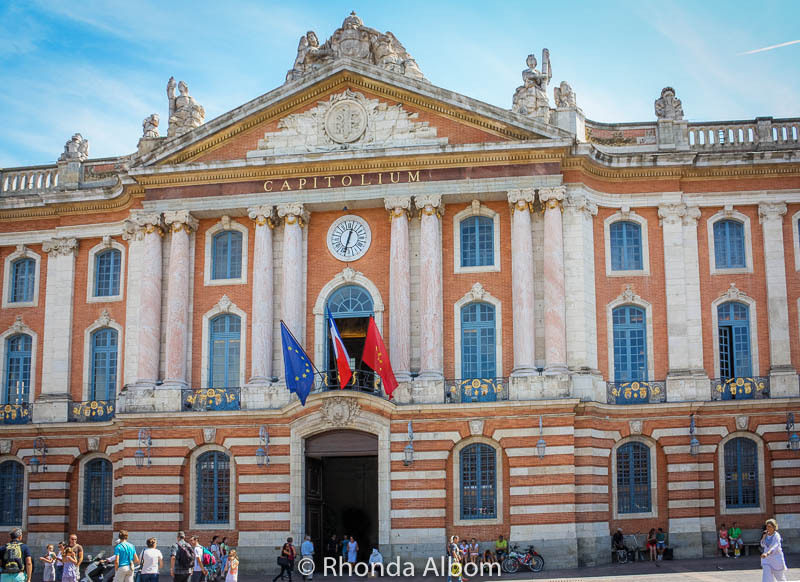 Toulouse is a city worth exploring, and this is the its crown jewel. I hope that free tour continues, it really brought the history to life. This is surely worth visiting in France. I literally say WOW when I saw your photos. Its so beautiful, the architecture is amazing! Toulouse is such an interesting city, an eclectic mix of the old and the modern aerospace industry neatly mixed in one city. Europe really does have some of the most majestic cathedrals. 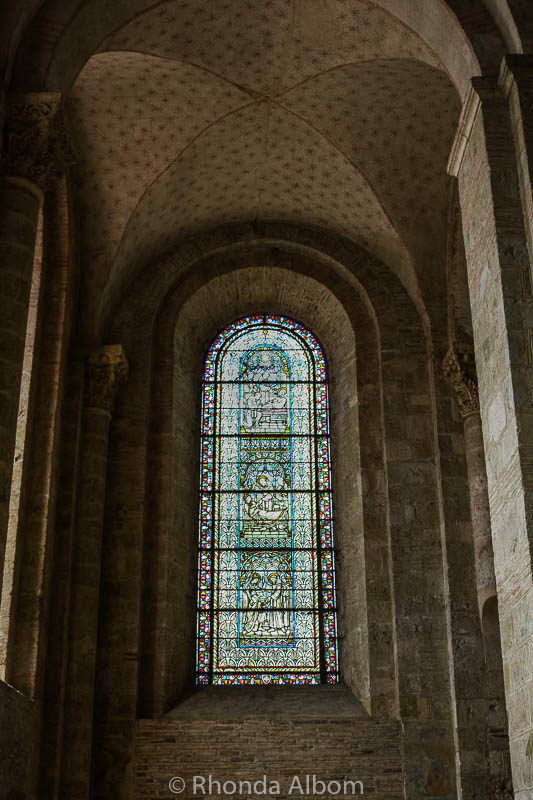 I would love to visit The Basilica of St Sernin – I think it’s a work of art which can be appreciate even when you’re not religious. Will have to make it to Toulouse! I am sure you two will make it to Toulouse some day. We’ve been to many places in France, but haven’t made it to Toulouse yet. When we will, we’ll certianly go to the Basilica of St Sernin. Thank you for your stunning pictures! I am surprised how few of the readers here have been to Toulouse. It was a natural place to visit on the route we took. I agree that Europe has a treasure trove of cathedrals and this one meets every expectation of being a majestic cathedral. Loved the photos showing how magnificent it is. Toulouse is only a couple of hours from the Spanish border. It looks really beautiful! I love the red brick on the exterior, the rich detail of the carves stone inside and out, and the amazing painted friezes inside. Lovely to have a guide who could give you the history to put it all into context. The guide really brought it all to life, and his English was perfect. I am from France but have never been to Toulouse, but this post made me really want to go! It looks beautiful. I appreciate all the information that you wrote about too! Well done! LOL – what are you waiting for? It is full of history and artwork. I really enjoyed visiting it. Breathtaking! We are thinking of planning a future trip to Europe in the small areas of France. This should go on our list! We drove through the Pyrenees and Midi-Pyrenees regions, they were wonderful. 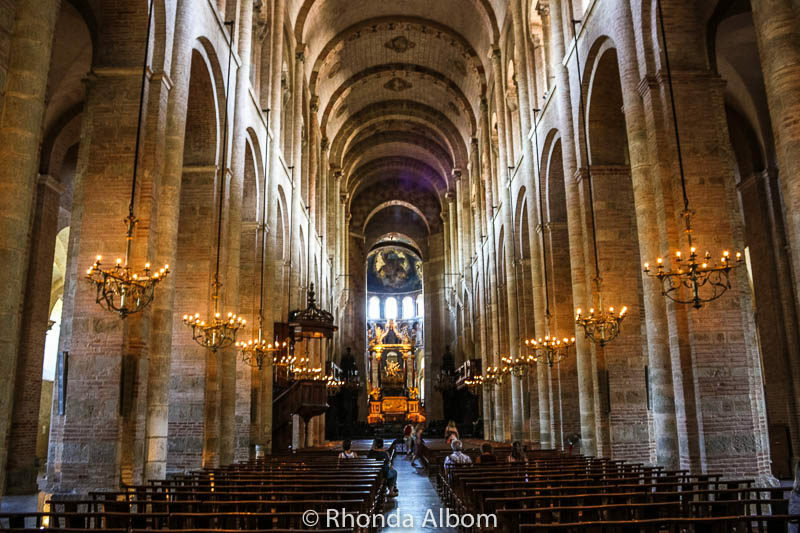 I am inspired t o research the story of St Sernin after seeing this magnificent basilica devoted to him, Rhonda! It is full of such ancient religious treasures. The frescos and sarcophagus are exquisite. I would love to hear how that organ sounds. Warning, there is a graphic and bloody element to his death. Being tied to a bull and dragged down the streets did not end well for him. It’s hard to even fathom something this old. 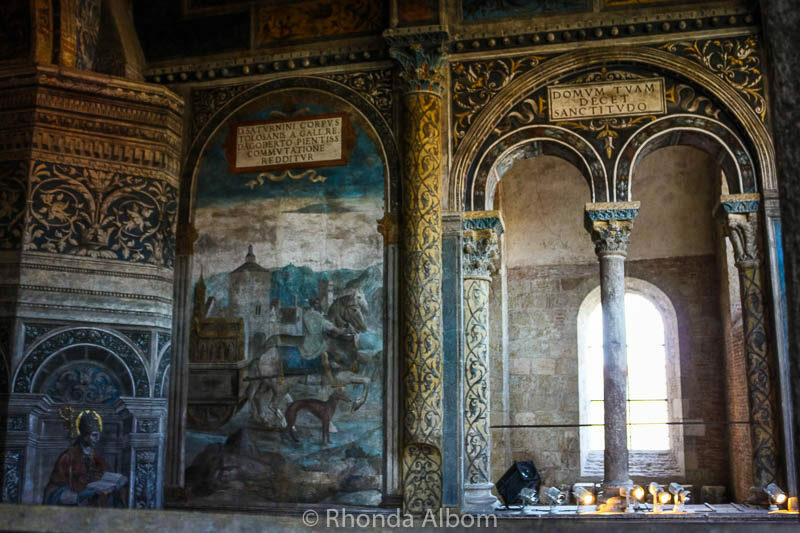 Frescos were covered in a layer of plaster? I love the sarcophagus, transept of Saint Sernin and the portal sculptures. Well all of it really, but especially those. I wondered what they were thinking when they covered those detailed paintings. In general, we are travelling again, just on a break due to Sarah’s injured knee. We plan to go to South America later in the year, and last year we hit 9 countries. I’m struck by the age of this church and the time invested in it. I keep thinking about our local Catholic church and its current fund drive. A million dollars would have gone far back then. It always impresses me what how much time people used to take on the detail, too bad it is rarely done this way anymore. How beautiful! What a wonderful place to visit. It is a like stepping into a different world. Can’t you renew your passport? A place that I would love to visit. Very beautiful photos and I love everything about it. Thanks for sharing. Europe is filled with so many incredible cathedrals and churches, and this one is really special. I’ve always wanted to visit this city and explore, it really looks like my kind of place to explore, thanks for sharing it. Based on what I know of you from your blog, I would agree. You will love Toulouse. most definitely, an interesting place to visit. should be in my travel bucket list. thanks for sharing. 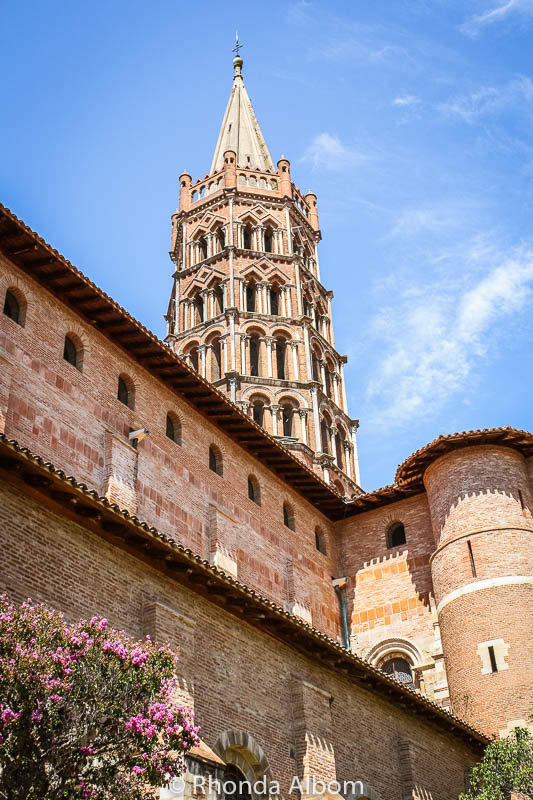 Toulouse is such an interesting city, and St Sernin Basilica is only one of the highlights. That is so cool and you are so lucky to get to explore it! Thanks Teresa, we seek out places like this. I love all three. What a beautiful piece of history. Me too Sandee, and I agree, this is a magnificent piece of European and religious history. It is indeed a gorgeous church and I love all the fascinating details. I truly enjoyed visiting it with you and wish I could see it in person. Thanks Carol, I agree, there were too many varied and historic sites not to create a separate post for it. Thanks. It’s easy in this lovely basilica.